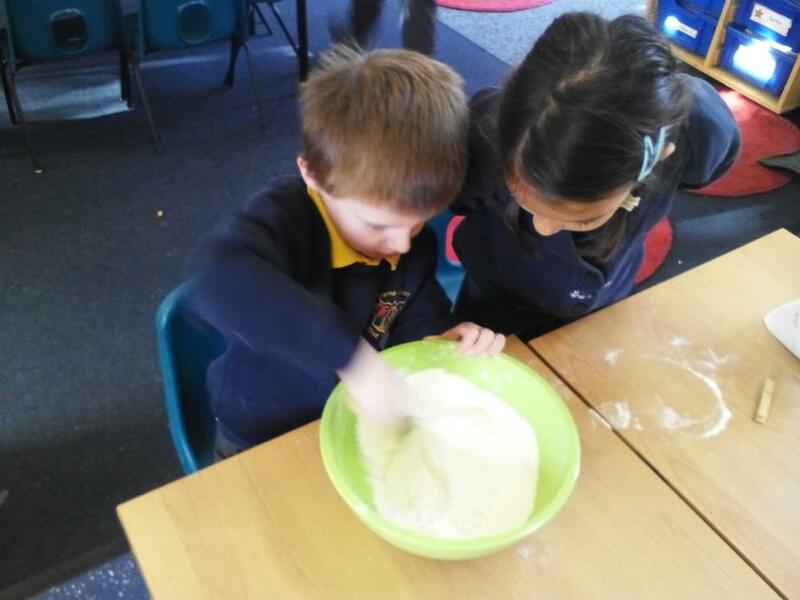 Giant class have been learning about the Hindu celebration 'Diwali', sometimes called the 'festival of light'. We read the traditional story of 'Rama and Sita'. People celebrate Diwali to remember Rama and Sita returning home safe, they celebrate with light to represent the 'good' and good winning over the bad. 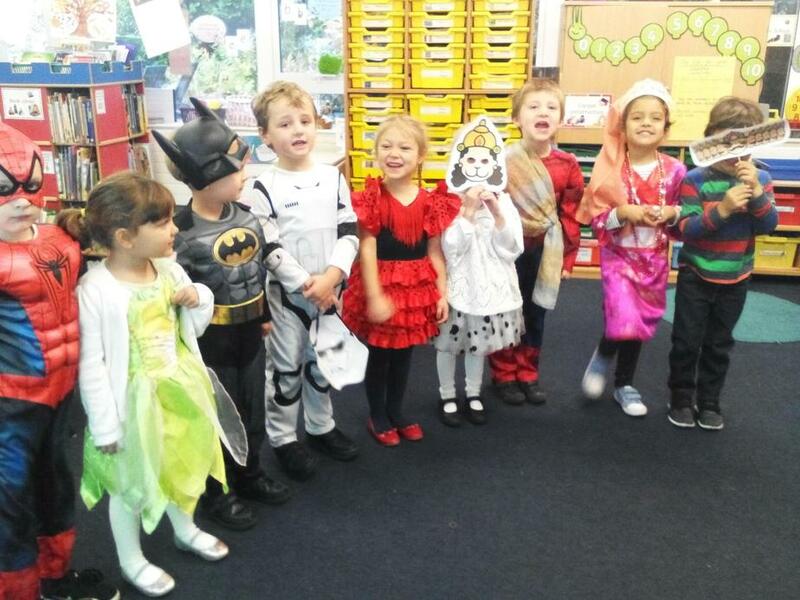 We dressed up in costumes and retold the story! Giant class received a letter from a Hindu child, Farhan asking us to help him make Diva lamps for his Diwali preparations. 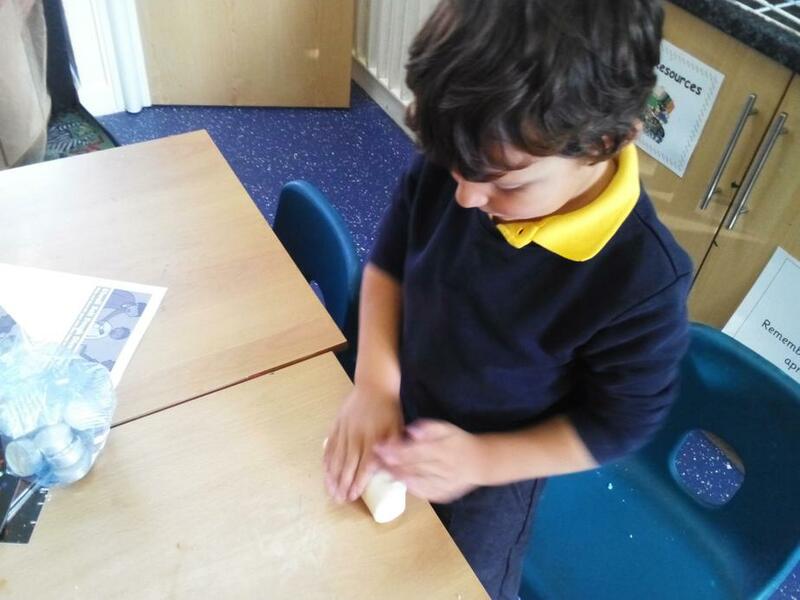 We used salt dough to mould the lamp shapes, making sure there was a hole for the tea light to sit in. 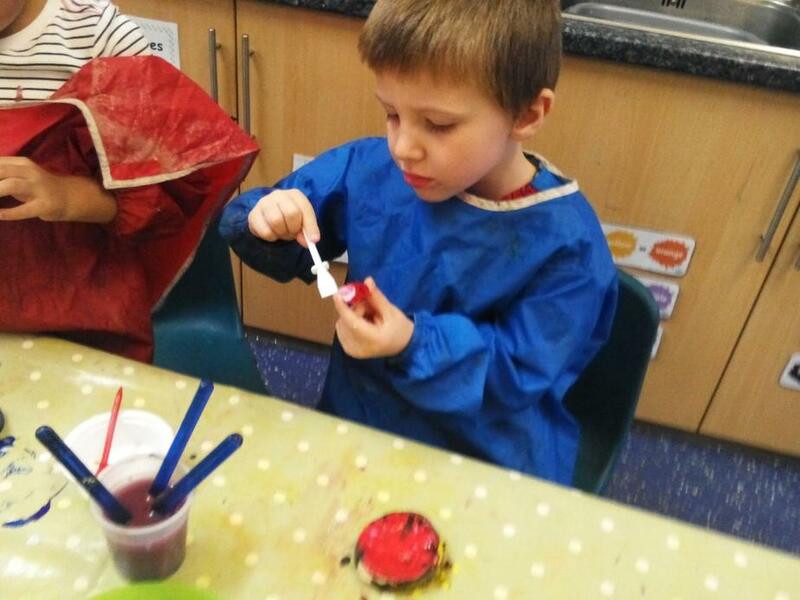 When the salt dough was dry we painted our Diva lamps, adding lots of colour and decoration to make them look special! 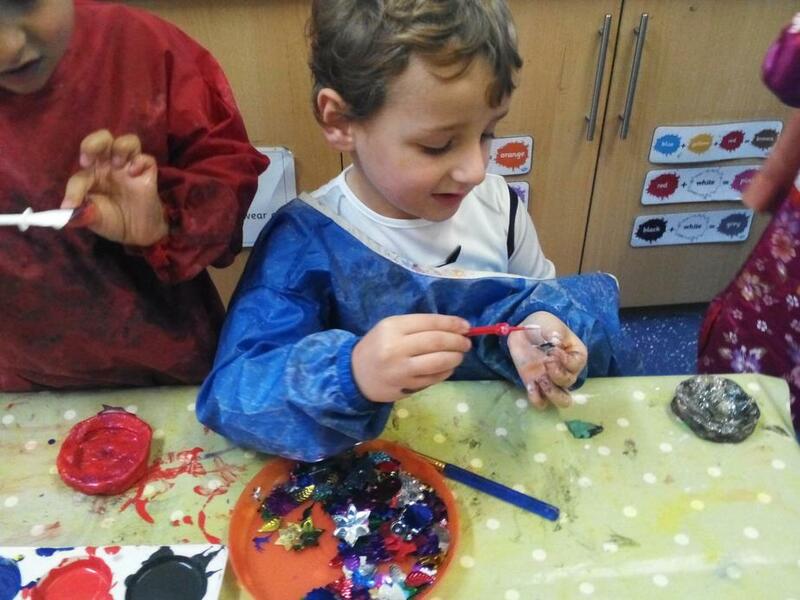 We have also been learning about 'Rangoli patterns' traditionally created outside houses and on the streets during Diwali celebrations. 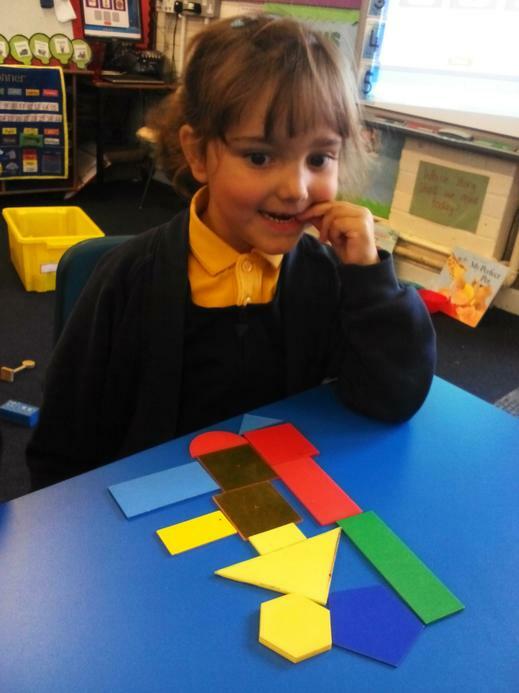 They are very colourful and created with lots of different shapes. 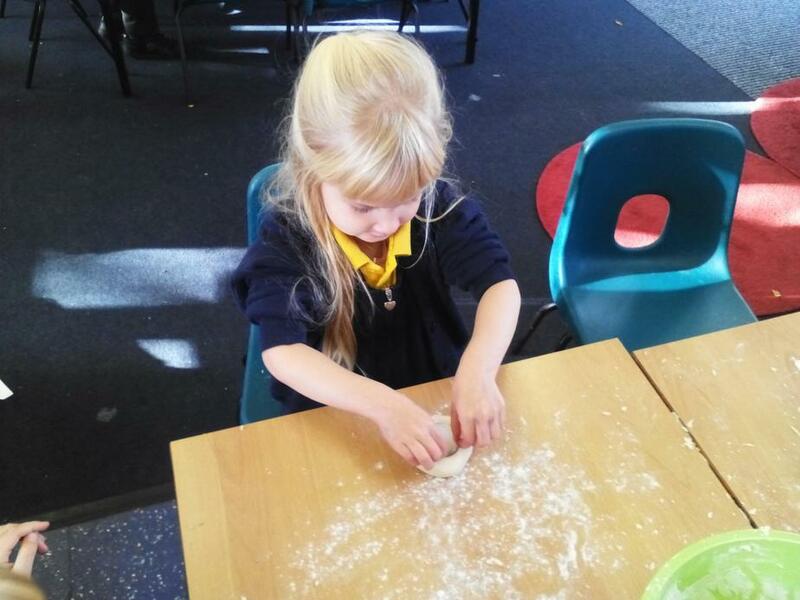 We enjoyed colouring in different Rangoli patterns and making our own hanging window decorations! 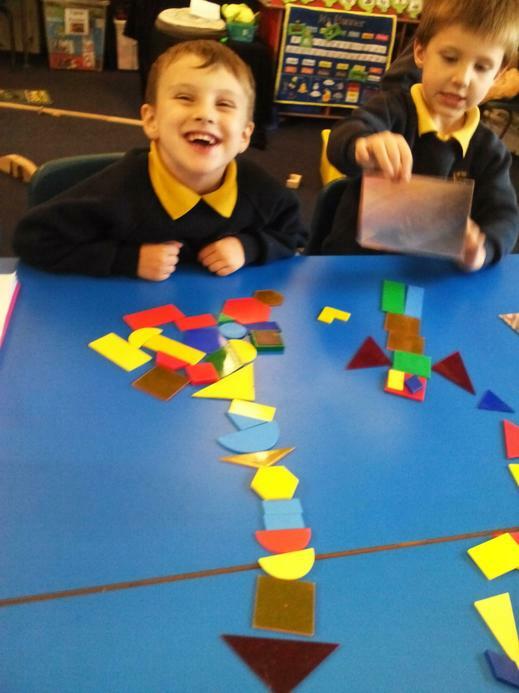 We used the shapes to put together our own Rangoli pattern, using the mirrors to explore reflections and symmetry. Another super week of learning, well done Giant class!